I can't even begin to tell you how busy I've felt in the last few weeks. 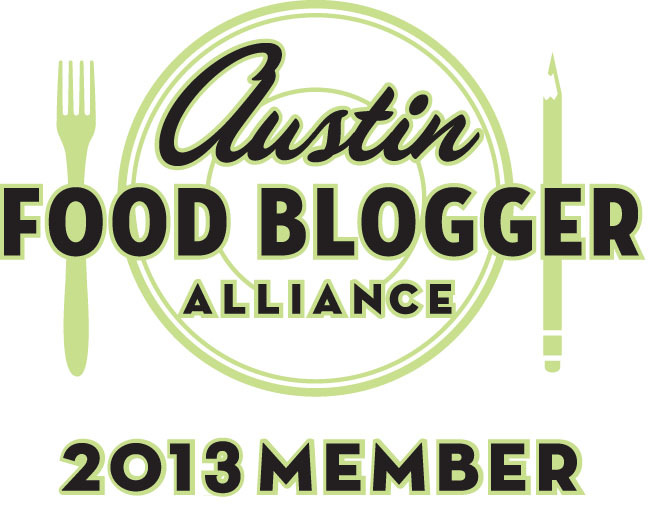 I haven't blogged in almost two weeks and it makes me really sad. I don't understand how bloggers can update their blogs multiple times a week, and the ones that blog every day… that just blows my mind. Like I have mentioned before, I love eggplant. Anytime I see it on a menu, I automatically want whatever it is. And when I see asian-style spicy eggplant? That is just a done deal. I'm sold. I attempted to re-create this dish and it turned out very good. I would add pepper flakes to to increase the spicyness, but overall, it was a success! Usually for Christmas Eve, my mom makes a honey ham and we make some of our favorite sides to go with. In the past, we have made sticky rice, creamed corn, roasted sweet potatoes, scalloped potatoes and other of our favorite mom dishes. This year, we decided on roasted sweet potatoes and butternut squash and scalloped potatoes. 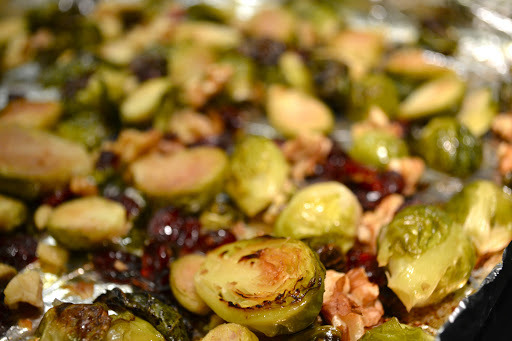 I have wanted to roast Brusselssprouts so we decided to try that out on the family as well. I finally got a crockpot!!!!!! 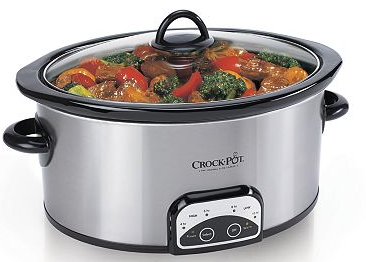 I have read so much about the magical wonders of crockpots but I have never owned one until now. AND I got a fantastic deal. My goodness, I love Black Friday. 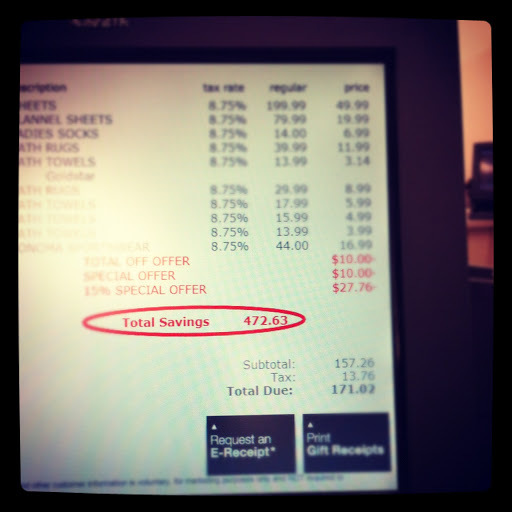 My mom and I went to Kohl's and look how much we saved!! One of my greatest secret pleasures is looking at the receipt and seeing how much money you saved. Actually, it's not even secret. Most people know I'm a sucker for a good deal. Groupon, Living Social, Yipit, Woot and all coupon apps (yes I have a few) are made for crazy people like me. Oh, and can't forget happy hours… of course. Who wouldn't love saving $472??? Anyways, I lugged all my new items and this sucker from California to Austin (I found out later TSA inspected my bag, haha). 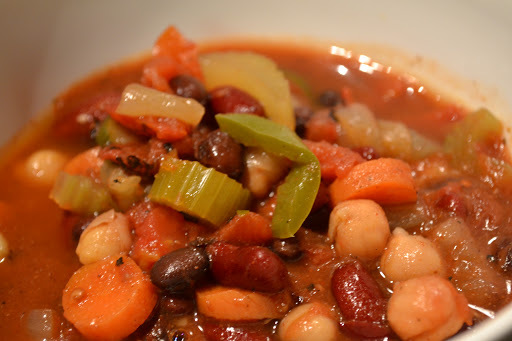 I knew the first thing I wanted to make was veggie chili. 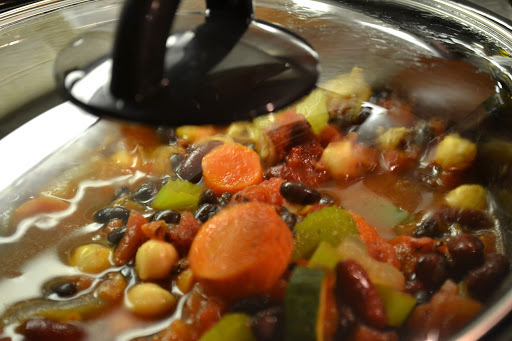 From the days back in my sorority, Armando would cook this turkey chili along with this amazing veggie chili. 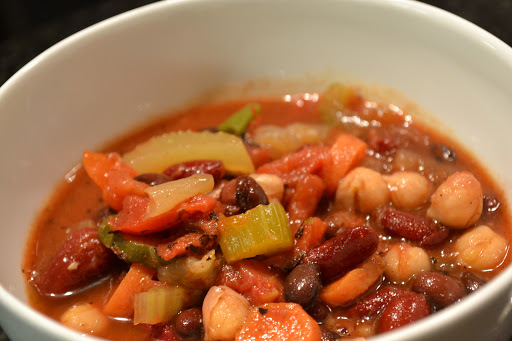 Then I got hooked on the Vegetarian Chili at Trader Joe's, which I always kept stocked in my pantry. Since Austin doesn't have a Trader Joe's (although one is coming soon!!!!! ), I have been sad and veggie chili-less. I chose a pretty standard and simple recipe. It turned out pretty good for my first chili, but I think for the next one, I'm going to alter the recipe and add a few more things to it. If you asked me what my favorite food is, I would say a sandwich. People think it’s strange, but I say that because I love the heck out of a good sandwich. What kind? Oh goodness, too many to pick from. There are also a LOT of bad sandwiches out there, but boy, when you get that fresh, gourmet sandwich (drool), there is nothing better. Some goat cheese on top, please! Fall is here!! Which means it is time for my favorite fall vegetables, including winter squash! 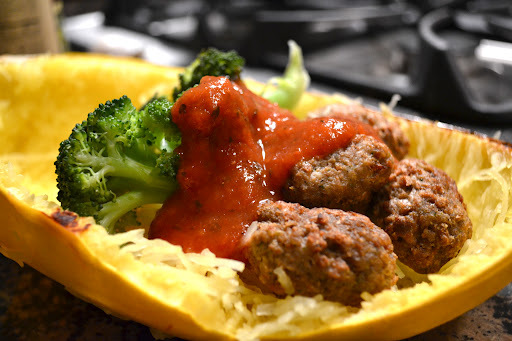 I have only made spaghetti squash one other time, and thought it was time to revisit this delicious veggie. 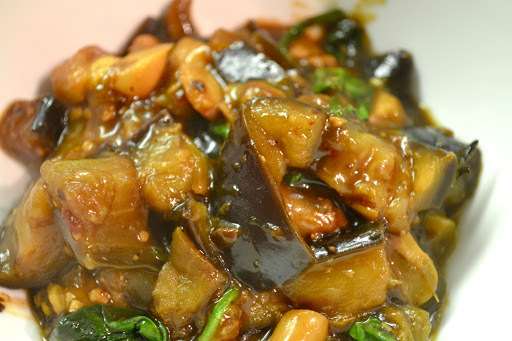 This dish is packed with vegetables, making it very healthy by providing nutrients, minerals and antioxidants. 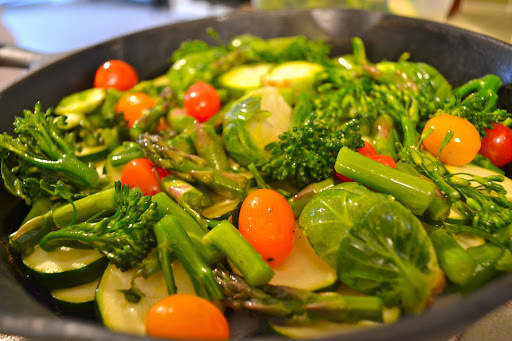 But did you know that the way you cook your vegetables can alter the nutrient content? When you cook vegetables in water (blanching or boiling), many of these vitamins and nutrients seep into the water, going to waste. The most common nutrient lost is Vitamin C. In order to retain the maximum nutrients, cook your vegetables with as little water as possible. 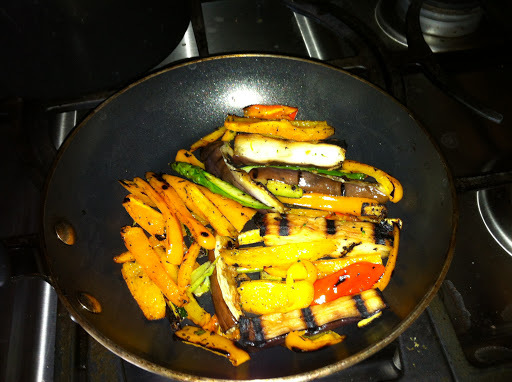 By stir-frying, steaming, or baking/roasting (as seen here), you will be getting the most out of your vegetables. Layer the chopped onions on the bottom of an iron skillet or baking pan. 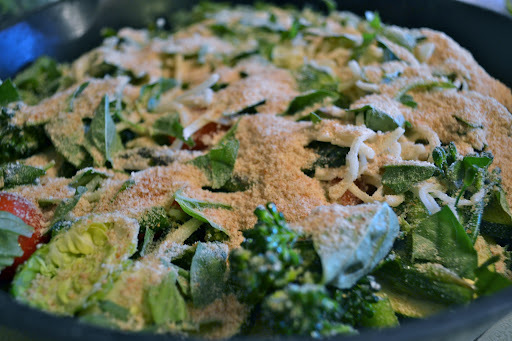 Add a layer of cheese and sprinkle bread crumbs. As you may know, I’m not a huge cheese person, so I went easy on cheese for half of the gratin, but on the other half, I loaded it on for my cheese-loving friends. 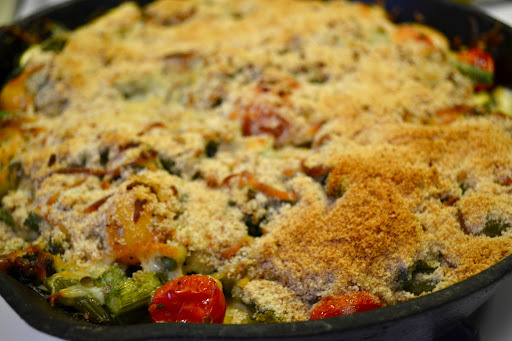 It was delicious right out of the oven, the bread crumbs were crispy and the veggies were well roasted! 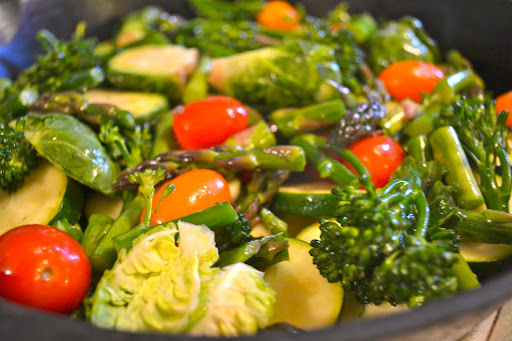 There are plenty of vegetables in this dish, which means only one thing…. fiber!! Although there is a lot of fiber, there isn’t much protein so I would recommend this as a side dish. Nonetheless, it is still a filling dish and very tasty! 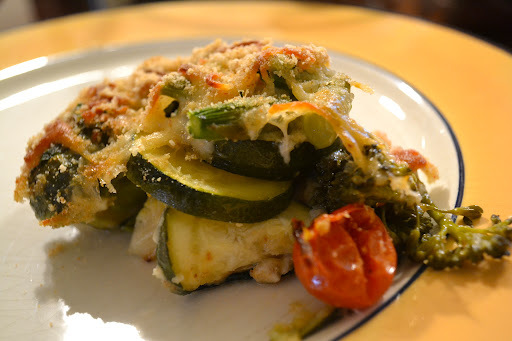 It can be made year-round with various seasonal veggies. 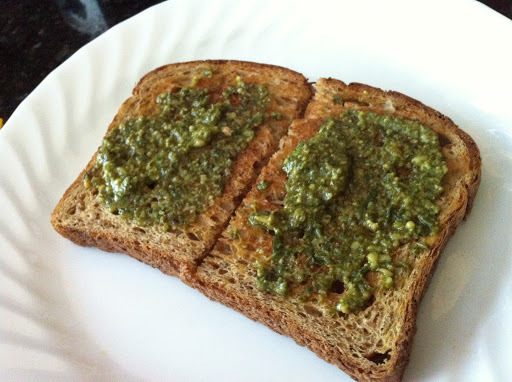 I can’t wait to make this with butternut squash in the fall. 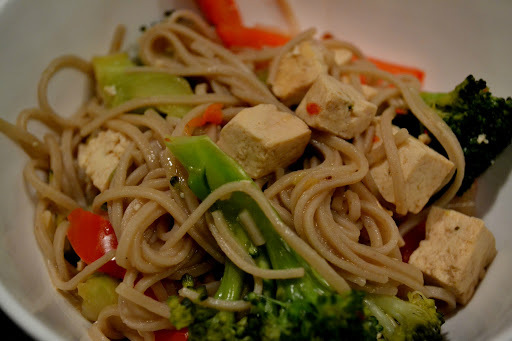 Next time, I am going to add tofu or chicken to improve the protein content!